See which of your AdWords campaigns are the most successful and result in a chat. This integration will help you see which of your AdWords click convert to chats on site. When using Google Tag Assistant to validate the integration, you may encounter some syntax errors but you should not worry about them! Click here to learn why! To start tracking conversion to chats in your AdWords panel, you need to include the following code below LiveChat installation script on your website. You can also track the conversion of your after-hours form. You need to simply replace the LC_API.on_chat_started = function() part of the code with LC_API.on_ticket_created = function(data). To learn more about this callback, check out our API documentation. Remember to update YOUR_CONVERSION_ID and YOUR_CONVERSION_LABEL with the appropriate values. 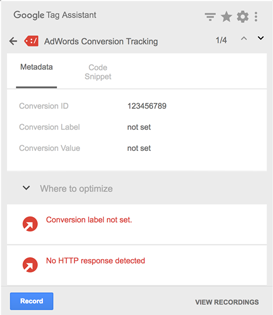 You can track several conversions at a time using this script. To do that, add a separate script with different pairs of google_conversion_id and google_conversion_label variables for each conversion you want to track. google_conversion_id stays the same, google_conversion_label varies for different conversions. 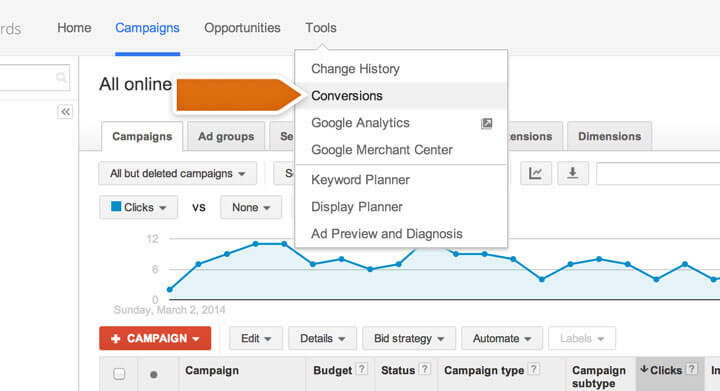 Log in to your AdWords account, select Tools and choose Conversions from the drop-down list. Click on the + Conversion button. Name the conversion, select Webpage as the conversion source and click on the Save and continue button. Change the conversion settings to your liking and select Save and continue. Set Don’t assign a value as the conversion value. All these settings can be changed later on. Select I make changes to the code to get the conversion code. Copy the google_conversion_id and google_conversion_label and select Done. Paste those two values in the AdWords integration script and add it to your page to finish the setup. After you install the code, chat conversion from clicks will start appearing in your AdWords conversion reports. When using Google Tag Assistant, you may encounter some syntax errors like Conversion label not set or No HTTP response detected. And what actually does they mean? Don’t worry though! The integration will successfully track your AdWords campaign and integrate it with LiveChat.